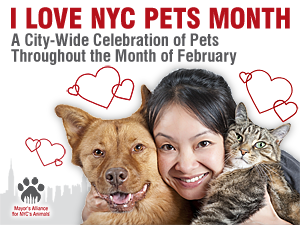 New York, NY – Tuesday, February 15, 2012 – The Mayor’s Alliance for NYC’s Animals’® sixth annual I Love NYC Pets Month is in full swing, with a full month dedicated to celebrating the joys of sharing life with a pet. In keeping with the Mayor’s Alliance’s goals of increasing pet adoptions and transforming New York City into a no-kill community, its Alliance Participating Organizations (APOs) are featuring adoption events and other festivities to shine a spotlight on the NYC’s homeless pets and encourage more people to adopt a furry family member. And this year, the Mayor’s Alliance is offering special new ways to celebrate the joys of life with a pet. Through the I Love NYC Pets Month Photo Contest, participants can submit photos of their pets and a brief caption that describes why they think their pet is the quintessential, loveable Little New Yorker for a chance to win a fun prize. Throughout February, Mayor’s Alliance Facebook fans can vote for their favorite photos each day. The three top-voted photos will be featured on the Mayor’s Alliance website in March, and each winner will receive two Mayor’s Alliance I Love NYC Pets t-shirts by SocialPakt. 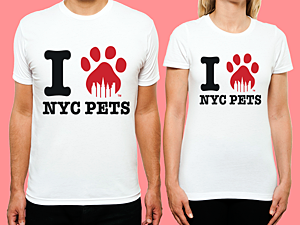 The limited edition I Love NYC Pets t-shirts are available for purchase between February 1 and February 29 by anyone who wants to “wear their love” for their cherished pet. The original design by NYC-based artist Charlie Tsampa evokes one of the globally recognized emblems of New York City and can be proudly worn by anyone who loves animals. They retail for $20 each, and the Mayor’s Alliance receives $6 from every sale. We can think of no better way to celebrate I Love NYC Pets Month than by adopting a homeless cat, dog, or other pet from a shelter or rescue group. Potential adopters are encouraged to visit the Mayor’s Alliance website for more information on pet adoption and a list of adoption events. Animal lovers looking to party hearty while supporting NYC’s homeless animals are invited to the 1st Annual Masquerade Ball, a special fundraiser to benefit the Mayor’s Alliance. This first-time-ever event will take place on Saturday, February 25, from 5:00–10:00 p.m., at the legendary Copacabana (268 West 47th Street at 8th Avenue). Feast on a four-course formal dinner; dance to the tunes of DJ Susan Levine; enjoy the open bar, ice sculpture vodka bar, cocktail hour and hors d’oeuvres, and a 50-50 raffle and silent auction. 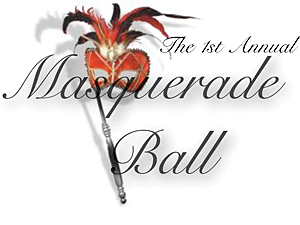 Tickets are $130 per person, and can be purchased until February 18 at www.FebruaryMasquerade.com, or at the door. Evening wear is requested; masks are optional.